As of the last reported period, Apple announced that 100 billion apps had been downloaded from its App Store from July 2008 to June 2015! The mobile industry is crazy right now and to not be a part of that is NOT business savvy! ‘Over 2/3 of all adults now own a smartphone, this is on a par with laptop ownership. The proportion of adults that accessed the internet on a mobile handset last year increased to 61%’ – This is why it is having an app – whether your business is big or small – is important for your company. You do not need a multimillion pound turn over to move over to the ‘app’ world. Apart from the fact all of your main competitors have an app, there are so many reasons you need one too! A study by Kleiner Perkins Caufield and Byers found the average user checks their phone nearly 150 times per day! The app will market itself! Think of how many purchases people have made simply because they have had the company’s app on their phone. It constantly reminds the consumer of your products/services. It’s important that your customers have full access to you at all times and are aware of any offers/promotions or updates you have! What better way to do this that sending in-app notifications? There is no quicker way to reach your target audience! 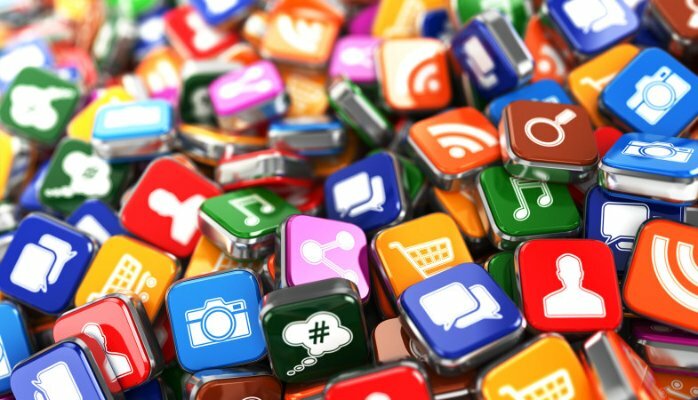 Whether it’s a booking app, shopping app, contact app, promotional app or simply to just have that extra online presence, every type of app can help your business to grow! You should be showcasing your products and services! Finding ways to reach more customers! Letting them know you are always there! Why wouldn’t you want to take your business to the next level? Create a strong brand for yourself? Or have a steady platform to flourish and expand? There is a strong possibility that your competitors will already be doing this, so it is imperative for you to ensure that you are not left behind. Over the next few years you will see more and more companies expanding into this field, so make sure you don’t get lost in the crowd and blaze a trail as you lead from the front! Contact Us to Enquire about our Mobile App Development!